Jordan Rosenberg | HACK It! Last semester, I took an introduction to Women’s Studies, where we interpreted and tried to understand the wide definition to feminism. 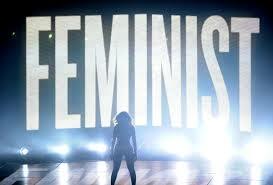 I remember listening to a TED Talk lecture by Chimamanda Ngozi Adichie, where she proclaimed that a feminist is “someone who believes in the social, political, and economic equality of the sexes.” (you may have heard this quote in Beyoncé’s song “Flawless,” which is why I have incorporated a picture of her proclaiming herself as a feminist below.) Somehow, from that simple definition, feminism is misconceived as the radical hate for men and the subordination of patriarchy in our society. To me, feminism is more about standing up for yourself as a woman, and rather than diminishing men, empowering yourself with confidence to be whoever you want to be, without worrying about the judgement or oppression by men. Rather than fighting to dominate men or the concept of the patriarchy, to me feminism is about equality. My essay topic is about how the 1920s shaped and changed American culture. My essay will specifically focus on how this era in American history changed American literature, fashion, music and film. Some of the chief literary figures of the 1920s included F. Scott Fitzgerald and Ernest Hemingway. Cynical and disillusioned about the world in the post- World War I period, these writers contributed heavily to the developing culture of the 1920s. 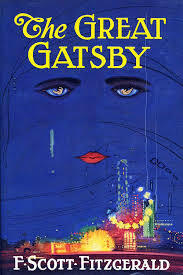 While most famous for his novel The Great Gatsby, Fitzgerald also wrote This Side of Paradise and The Beautiful and Damned during this era. Hemingway contributed to the modern literary movement with other short stories and novels, such as A Farewell to Arms. The 1920s was also widely known for the Harlem Renaissance, a period of African-American literary and artistic cultural growth. Stemming from the mostly African-American populated neighborhood of Harlem, NY, the Harlem Renaissance was mainly fueled by the ideas that a growth of intellect and increase in the production of literature and art could challenge racial stereotypes and quell racial segregation. Some of the most significant novelists of the Harlem Renaissance included Zora Neale Hurston and Langston Hughes. The film industry and Hollywood skyrocketed in the 1920s. Filmkaing was revolutionized as the “talkies,” or sound-synchronized motion pictures, replaced silent films. 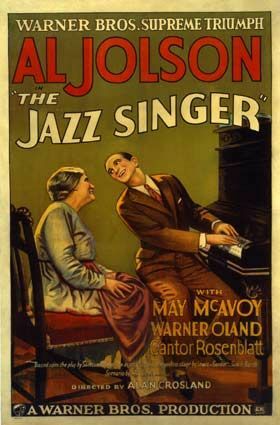 The first feature-length talking film, The Jazz Singer, was released in 1927. Jazz and jazz-influenced dance music became widely popular during the 1920s, hence why the era became known as “The Jazz Age.” George Gershwin, Eddie Lang and Joe Venuti were iconic musicians of The Jazz Age, being the first to incorporate guitar and violin into jazz. Dance clubs became more popular, featuring live jazz music nightly. A variety of novelty dance moves also developed during this period, such as the Breakaway, the Charleston, and the Lindy Hop, which would eventually evolve into the Swing. 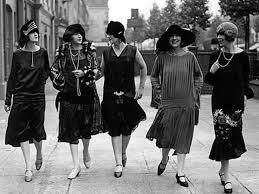 The 1920s were a period of very significant change for women. With the 19th Amendment giving women the right to vote in 1920, women began to feel empowered to take control of their own lives. This began a widespread sexual liberation movement for young women, known as the age of the flapper. A flapper was a new, innovative young woman who wore short skirts, bobbed her hair, listened to jazz, and flaunted her disdain for socially acceptable behavior. She rejected strict Victorian gender roles by wearing eloquent makeup, smoking and drinking, driving automobiles, and flouting sexual norms by dancing provocatively with men in underground alcohol clubs known as speakeasies. In our lecture on Wednesday, I participated in Professor Blum’s twitter challenge by tweeting this photo of Patricia Arquette at the Oscars. In her speech, Arquette called to action to create equal wage pay for men AND women. Women still make about 75 cents to every dollar a man makes today. 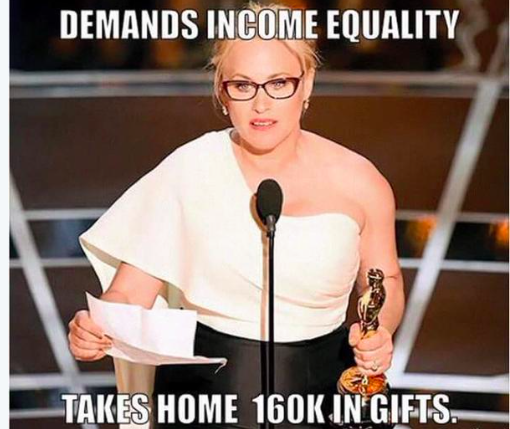 Although I fully respect Arquette for using her Oscar acceptance speech to shed light on an important economic inequality, she is a highly paid, A-list actress and has no idea what it is like to be a woman working 3 jobs just to provide for her family and still making less than her male coworkers. In class this week, we discussed the Cold War, specifically what caused it to end. 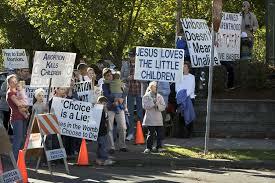 A climactic event that signified the end of the Cold War was the fall of the Berlin Wall in 1989. 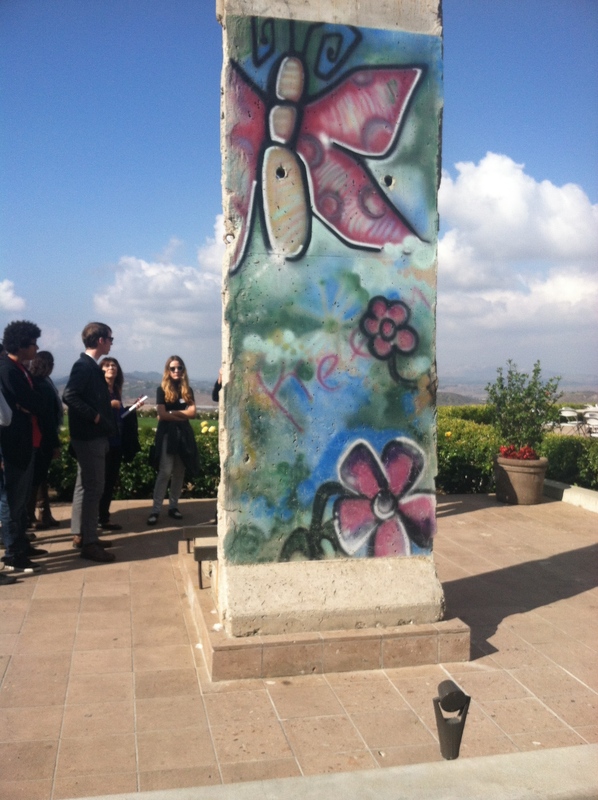 In November of 2013, my senior AP Government class took a field trip to the Ronald Reagan Library in Simi Valley. At the Library, they have preserved a portion of the Berlin Wall that had collapsed, which I found very interesting to literally be in the presence of a piece of history.